According to Anne Gregory, the PR profession is facing nothing less than a paradigm shift. At a time when trust in institutions, governments and leaders has reached an all-time low, she believes that communication is the key to true leadership. “Organisations are defined and constituted by communication, not just enabled by it,” says Gregory. 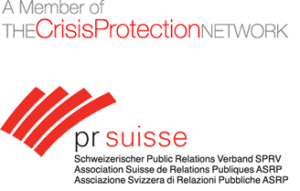 Speaking to Swiss professionals at the Annual General Meeting 2015 of pr suisse, she addressed the burning issues facing the profession and presented the association’s members with a passionate call-to-action – to promote value-based decision-making and leadership. Gregory showed how over 80% of their organisations’ value is comprised of the sum-total of their intangible assets and how communicators should see it as their primary role to interpret and redefine the issues that surround them, thus enabling effective communication throughout their organisations. In an interview with Marion Starck in Zurich, Anne Gregory explained why. Although the PR profession has come a long way over the past years, it has never been more heavily criticised than it is today. What do you see as the biggest challenge we must address? I see a number of challenges. I believe that our profession really needs to get to grips with its own reputation and the ethics of the profession. In order to do that, we need to redefine its purpose. This raises a lot of questions. Are we here to serve society? Or simply to answer the short-term needs of our business? Should we be doing well by doing good? I believe that by helping to make our organisations sound, we are indeed serving society. Does it mean that PR people should be the conscience of an organisation? I wouldn’t use the word ‘conscience’ but I am suggesting that we are judged by how we live our profession. Communication is at the heart of everything, so certainly we have a responsibility to motivate and influence decision makers in our organisations to make sound decisions that are not just in the organisational interest, but also gain the support of other stakeholders. Isn’t the biggest challenge that there are still not enough communication professionals at the board-room table? We are seeing that more and more Directors of Communication are members of the board. We are also seeing another trend. There are more PR professionals among them than marketing experts, than in years gone by. But because the customer is still king in many organisations, marketing still rules the roost, but we should perhaps be looking more closely at the factors that affect reputation because this is where organisational value also resides. So there is still a long way to go. Is this not partly because of the blurred lines between the disciplines, in the wake of the more wide-spread use of social media and online communication, but also because there is a lack of clarity on what is most important, selling products or managing reputation? Yes, this is the case in many countries, but in my view reputation is not something you manage. It’s the result of what you do. As Abraham Lincoln said, “Character is like the tree and reputation like its shadow. The shadow is what we think of it, but the tree is the real thing.” And it’s very difficult to manage a result. We are in the business of making trees sound, not trying to make the shadow look good. So, if you get it right, Public Relations is about governance. How an organisation thinks about the world and its activity should be at the heart of its communication. And most organisations are so busy concentrating on their short-term results and what I call “doing the stuff”, that they miss the opportunity to make their influence felt both inside and outside the organisation. Why aren’t communicators doing this now? Do we need more personalities? Is it necessary to educate communicators differently? It’s a fair question – maybe we need to fix our skills. And we should be seeing more managerial skills, besides the skills normally associated with our profession like writing and generating media coverage. If we can attach ourselves to the CEO agenda and understand the intricacies of the business, this will give us the authority to influence decision-making. What can PR professionals do to make sure they are at the table with decision makers? I’ve been working with a number of groups on addressing this question. The biggest problem is that the communication people in organisations often don’t have the characteristics that are needed to take a leading role in addressing the many issues that are facing us in today’s time. I believe that PR professionals increasingly need to have what I call contextual intelligence to complement the expertise that is generally associated with our work. Looking at the conclusions of the World Economic Forum research released earlier this year with issues such as trust and respect in institutions, government and leaders declining year on year, this certainly points towards the urgent need for a paradigm shift. If we analyse the current situation in the world, it is a call for value-based decision-making. It’s not about reputation but about relationships. It’s about senior managers living in such a way as to reflect their values and making decisions in accordance with them. The past years have shown that compliance simply doesn’t work. If, as I said, it’s all about governance – then covert governance is as important as overt governance. Today, how we do business is just as important than what we do. Fascinating that this is very much in keeping with current trends in CSR practice. Customers expect a company’s products to be good, but make their decisions based on whether the organisation is behaving well. Is this why communicators should take on more responsibility? Absolutely. If over 80% of a company’s value lies in its intangible assets, one can also conclude that these are the factors that are related to communication or perception. Companies like Cocoa Cola have recognised the factors that made up the intangible assets as part of its “Integrated reporting”, which combines all aspects of their business in one report. This way, analysts can get a comprehensive picture of an organisation. The challenge is, that company leaders spend almost all of their time concentrating on the other 20%, which is comprised of finance and physical assets, driven by short-term pressures, quarterly results, shareholder value and economic pressures. One of the problems is that the tangibles are primarily about income generation and the other 80% about value preservation. For us this 80% represents an ideal opportunity and challenge. This is what we as communicators need to address. We are living in the age of communication where anyone can publish anything at any time worldwide at the press of a button. Are PR people at risk of becoming redundant? This is probably one of the most important things for senior management to be clear about. Everyone thinks they know how to communicate, because it has never been easier to engage in dialogues, so everyone thinks they can do it. You could also say everybody breathes, but a Yogi would disagree. Many don’t realise that the work of PR professionals is highly complex and sophisticated. It involves an intricate set of skills that need to be learned. It requires a lot of hard work. And as with other professions, practice makes perfect. The pilot needs flying hours to navigate the skies and communication professionals need years of experience and education to master the challenges of organisational communication. We clearly need to work harder at promoting the value of our profession and this will lead to greater recognition of our expertise. So, what we need to ask ourselves is “Are we up to this job?” This means taking an active role in shaping values and standards within our organisations and helping to define what is meaningful in our business, society and the world. In my view PR people are going to be ever more in demand, but we need to rise to the challenge of moving towards leadership with communication at its heart. Dr Anne Gregory has been Professor of Corporate Communication at the University of Huddersfield since September 2014. She joined the University from Leeds Beckett University where she was Director of the Centre for Public Relations Studies, an internationally recognised research centre and think tank on public relations and communication. While at Leeds Beckett, she also completed a three year term as Pro Vice Chancellor, extended for three months. Professor Gregory is currently Chair of the Global Alliance, the world-wide body of over 60 national and international public relations associations which is a recognised NGO by the UN. Anne was elected to this global role in 2013 and it follows her success as President of the Chartered Institute of Public Relations (CIPR) in 2004, where she led it to Chartered status. She was awarded the Sir Stephen Tallents Medal in 2010 and made an Honorary Fellow of the CIPR in 2015 for her outstanding contribution to the profession.